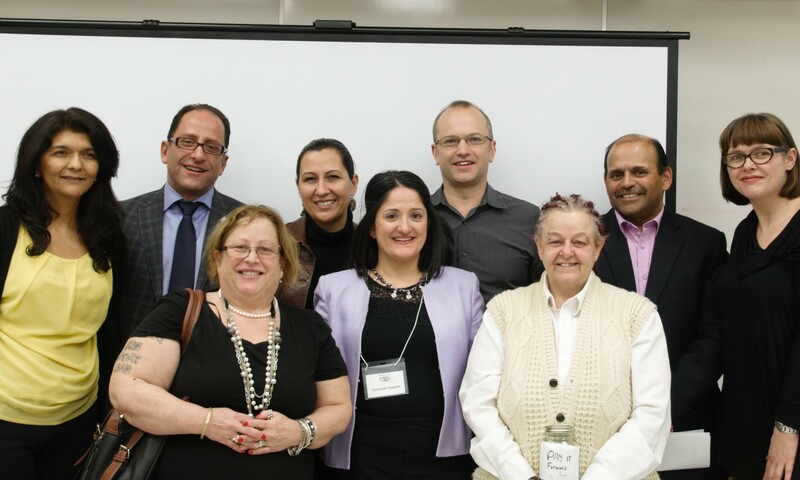 At this event, we heard from MP Ali Ehsassi, City Councillors Mike Layton and Ana Bailao, Ontario Non-Profit Housing Association President Sharad Kerur, ACORN leader Alejandra Ruiz-Vargas, and affordable housing advocates Diana Campbell, Ann Lapenna, and Laura Lesser. Ann and Laura are both Ambassadors for Parkdale Activity Recreation Centre. At All IN, we believe that in order to affect change, we have to reach more residents, particularly those who are not normally engaged in issues equality and inclusivity. With increased awareness, those residents will engage with their communities and with politicians, so that we can truly build inclusive communities. In that regard, our YIMBY: Affordable Housing event was a great success. Over 50% of our attendees said that they had either never attended a housing event or had not attended one in the last 3-5 years. We love widening the net of people who are involved with and care about their communities! Housing panels are rarely held in North Toronto. But in order to succeed in building integrated affordable housing and inclusive communities, we have to bring together people from all parts of the city. About half the attendees at the event were from south of Bloor, and another half were from north of Bloor. The issues discussed by our speakers included: the current state of affordable housing in Toronto, the societal and personal cost of not having decent, affordable housing, what the different levels of government must do in order to provide housing for all, and how residents can advocate for increased affordable housing. We also heard from three persons with personal, lived experiences of poverty, whose moving stories highlighted the importance of reliable affordable housing, and how it can help people get back on their feet. Join us in our effort to build integrated, affordable housing for all. Advocate for more inclusion by clicking here. Thank you to our wonderful speakers and to the more than 80 people who attended the event.